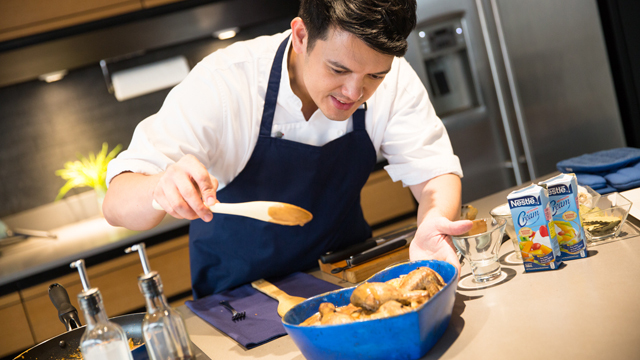 Adobo lover Chef Rob shows you how to level up your adobo experience! 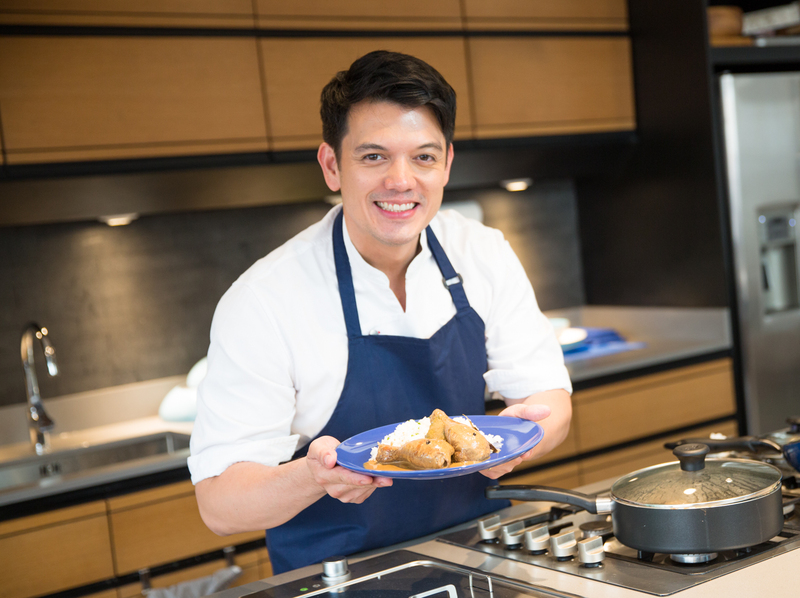 Successful restaurateur and inspiring mentor Chef Rob Pengson definitely knows how to mix his modern take on traditionally flavored food. In a world where people are hesitant to step out of their kitchen comfort zones, he stands out as a daring pioneer for creating gastronomic masterpieces that blends the ways of the old with the trends of the new. 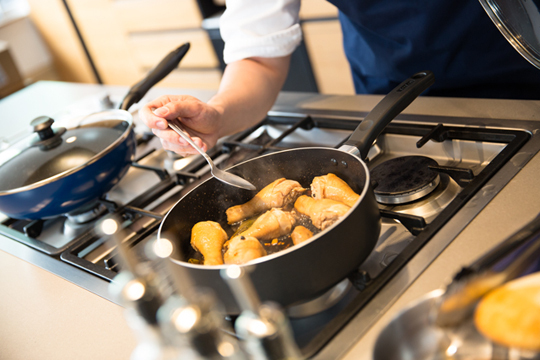 Recently, Chef Rob has been intrigued by a TV commercial about a mother cooking creamy adobo for her child, so he thought, "maybe I should give it a try." So he added NESTLÉ All Purpose Cream to adobo, and now he's convinced that the cream gave the dish a whole new dimension. 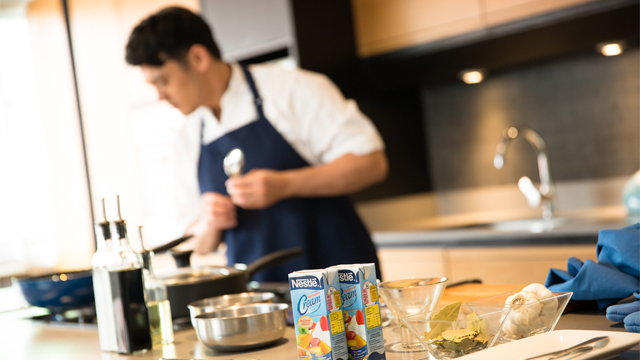 Chef Rob allowed us to pick his culinary genius brain and indulge us in providing additional interesting insights on why and how cream, like NESTLÉ All Purpose Cream, can truly work well for all types of adobo recipes. The secret, according to him, is in adding the vinegar and controlling heat. "In order to maximize the creaminess, I like placing half the vinegar at the beginning and letting it boil with the rest of the ingredients. I lower the heat to make sure the cream stays creamy and when ready to serve, I like the pure taste of uncooked vinegar so I add more vinegar in the end just like the Italians would finish with extra virgin olive oil and the French with butter." His personal preferences also figure prominently in his choice of ingredient. 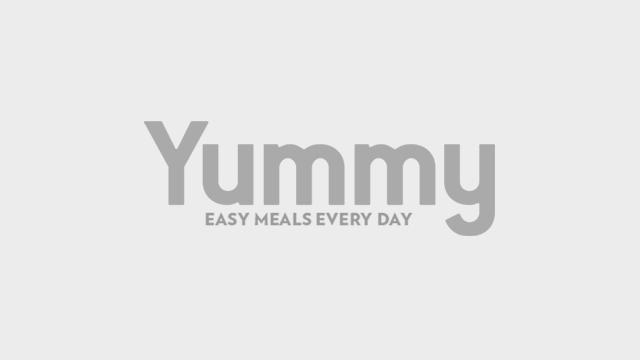 "One of my favorite recipes for adobo combines asado with adobo, called "adobado". I've recently just played around with adobo and cream and I have found my new favorite. The addition of cream gives it that amazing mouthfeel and when eaten with rice, as most Filipinos do, really gives it that amazing body that coats each grain perfectly," Chef Rob explains. A correctly cooked creamy adobo provides a unique texture and a flavorful experience. Surprisingly, his creamy chicken adobo still tastes very much like adobo, but NESTLÉ All Purpose Cream helps make it more malinamnam. Choosing a reliable and high quality cream like NESTLÉ All Purpose Cream, also contributes to the delectable outcome of the dish and takes the taste of your usual adobo to another dimension, as it wraps every piece of meat with flavor. Apart from choosing high quality cream, Chef Rob also emphasizes the importance of temperature in perfecting the creamy adobo. "When cooking adobo with cream, mind the heat. Add the cream in on low heat and mix very well and very quickly to incorporate the cream’s velvety texture without a hitch – you can use a whisk or a fork for best results." What are you waiting for? Take your adobo to a whole new level with NESTLÉ All Purpose Cream. 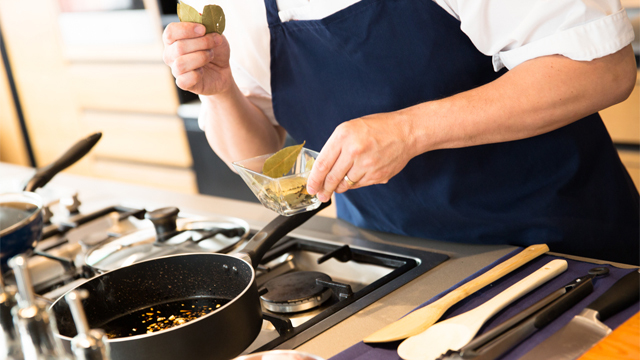 Try out this creamy adobo recipe for yourself along with Chef Rob's expert tips.